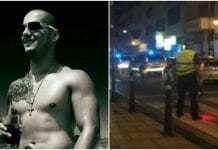 THREE people have been arrested in Almeria following the murder of a 24-year-old Moroccan man, apparently shot dead by mistake in a botched revenge attack. The suspected killer and two accomplices are being held after the man’s body was found in a house in La Mojonera. The victim was mistaken for the intended target, who was not home at the time.